The relationship between many G20 governments and organized civil society has become more complex, laden with tensions, and such that both have to find more optimal modes of engagement. While there are many reasons for this development, the present impasse results foremost from a lack of adequate regulatory frameworks that can accommodate a much more diverse and expanded set of civil society organizations (CSO). Typically, regulations are outdated, and given the growth of CSO activities in economic, political and social terms, increasingly ill-suited. In response, the brief proposes a differentiated model for a regulatory framework based on functional roles. First, nonprofits are increasingly part of new public management approaches and what could be called a mixed economy of welfare with a heavy reliance on quasi-markets and competitive bidding processes (Salamon and Toepler 2015). Expanded contracting regimes in health and social service provision, voucher programs, and public-private partnerships are examples of this development as is the recent rediscovery of co-production (Verschuere et al. 2012; Brandsen et al. in preparation). In essence, this policy approach sees CSOs as more efficient provider than public agencies, and as more trustworthy than for-profit businesses in markets where monitoring is costly and profiteering likely. Second, they are seen as central to building, maintaining and rebuilding social cohesion, and for strengthening the nexus between the social capital of citizens and economic development. Attempts to revive or strengthen a sense of community and belonging, enhance civic mindedness and engagement, including volunteering and charitable giving, are illustrative of this perspective. 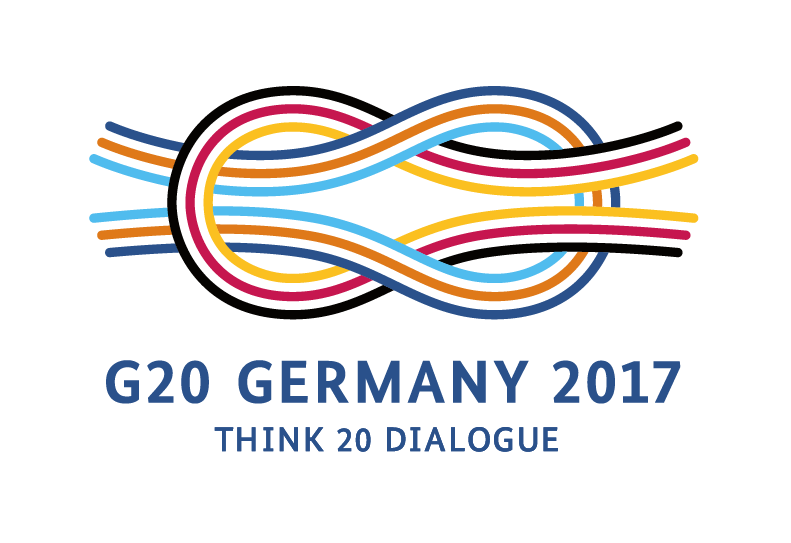 With the social fabric changing in all G20 countries, civic associations of many kinds are seen as the glue holding diverse society together. The basic assumption is that people embedded in dense networks of associational bonds are not only less prone to social problems of many kinds but also economically more productive and politically more involved (Putnam 2001). Finally, there is the policy perspective that views nonprofits as a source of social innovation in addressing diverse public problems. Indeed, nonprofits are assumed to be better at such innovations than governments typically are: their smaller scale and greater proximity to communities affected and to those concerned makes them creative agents in finding solutions. They are the operating ground for social entrepreneurs. Governments are encouraged to seek a new form of partnership with CSOs aimed at identifying, vetting and scaling up social innovations to build more flexible, less entrenched, public responses. Importantly, these perspectives cast CSOs in strikingly different roles. At one level, they become parallel actors that may substitute, even counteract, state activities. At another, the state and CSOs are part of ever more complex and elaborate public-private partnerships and typically work in complementary fashion with other agencies, public and private. Yet how can CSOs be efficient service providers, innovators, and a source of social cohesion all at the same time? This was most prominently exemplified by the Obama Administration’s Social Innovation Fund and other high-level partnerships between the federal government and philanthropies to identify social innovations through CSOs (Toepler 2017). Thus, CSOs find themselves in a contradictory policy environment, and subject to a ‘push and pull’ along the different directions by the challenges and opportunities the perspectives above harbor. This situation is made worse by the limited and outdated policy approaches and regulatory frameworks in many G20 countries (Phillips and Smith 2011). In essence, no G20 country has an explicit, normative approach concerning civil society to guide regulatory frameworks which help realize CSO potentials. Instead, regulation is either almost exclusively fiscal in nature and rests on some notion of public utility CSOs serve; or is controlling in the sense that state authorities oversee nearly all aspects of CSO operations and governance. While the former typically implies some form of a ‘light’ hands-off regulatory framework with few general government supports other than tax benefits as typified by the US, the latter is a stricter hands-on regime, albeit with more financial and other contributions by the state for qualifying CSOs. Emerging exemplars of this approach are the dual government postures towards NGOs in Russia (Benevolenski and Toepler 2017) and China (Zhang 2015). The foundation, an ownerless asset dedicated to a set purpose, and a board functioning as trustee. Social entrepreneurs cut across these forms and provide the ‘active ingredient’ for innovations and development (Brewer 2016; Young et al. 2016). Advocacy role: when governments fail to serve all needs and groups in the population equally well, and when prevailing interests and social structures can disadvantage certain groups while given unjust preference to others, CSOs can serve as public critics and become advocates, thereby giving voice to grievances, reduce conflicts and possibly effecting policy change. Resource inadequacy, whereby the goodwill and voluntary contributions cannot generate resources adequate and reliable enough to cope with many of the problems facing member states. Free-rider problems, whereby those who benefit have little or no incentive to contribute, stand in the way of sustainable resourcing, too. Particularism, whereby CSOs focus on particular subgroups only while ignoring others, which can lead to service gaps; conversely, if CSOs serve broader segments of the population, they encounter legitimacy problems. Paternalism, whereby CSO services represent neither a right nor an entitlement but are at the discretion of particular interests that may not necessarily reflect wider social needs or the popular will. Accountability problems, whereby CSO, while acting as accountability enforcers and pushing transparency, are themselves inflected by such insufficiencies. In the large and growing fields of education, health and social care, CSOs, mostly as corporations, face many fiscal problems and limitation in making business decisions in keeping with their nonprofit status, while businesses accuse them of unfair competition due to tax exemption. CSOs have virtually no access to capital markets for investments, and cannot compete for talent against businesses able to offer more competitive compensation packages. As a consequence, many CSOs push against regulatory boundaries that may threaten their tax status (Weisbrod 1998; Toepler 2004, Eikenberry and Kluver 2004). The for-profit versus nonprofit border has to be revisited and replaced by a more differentiated system, especially given growing frequency of hybrid organizations that straddle the profit – nonprofit border (Brewer 2016; Abramson in preparation), and the rise of the sharing economy and its principle of co-production. Reflecting this need, some observers have proposed the concept of a fourth sector comprised of “for-benefit enterprises” (Sabeti 2011). CSOs, mostly as associations, seeking to advance specific member interests frequently confront charges of putting their particular benefit above others, and see their beneficial tax treatment questioned and their motives challenged. This has been a particularly salient issue for economic associations, such as cooperatives and mutual societies (Salamon and Sokolowski 2016). What is needed is a regulatory framework that recognized different degrees of publicness versus privateness of the interest pursued: primarily public-serving objectives should be treated in a beneficial way, while member-serving may not. Many interests will fall in between, and these should only receive partial benefits. Importantly, financing of political parties should not be regarded as part of civil society and regulated separately, including the activities of political action committees and similar vehicles that channel private funds to the world of politics. Beyond the problems resulting from interspersing party politics and charitable nonprofits, the regulation of political activities, such as advocacy and lobbying, is another major area of regulatory concern, especially in Anglo-Saxon countries. In the US, potentially draconian tax law penalties for possible violations of vague lobbying rules have for decades hindered the willingness of charities to even engage in legitimate advocacy activities despite clear evidence that high-performing nonprofits utilize service-providing expertise to leverage their advocacy and employ advocacy to improve services and the general policy environment for their clients and constituents (Crutchfield and Grant 2008). Here it is both the political activities and the party politics versus civil society border that needs better regulation. CSOs, across all forms (and increasingly also Internet-based advocacy platforms), active as social accountability enforcers (Fox 2015, Brinkerhoff and Wetterberg 2016) face frequent charges of lacking transparency and of catering to special interests. They need a higher degree of accountability standard, including transparency for themselves (Ebrahim and Weisband 2007; Gugerty and Prakash 2010). What is more, the profound changes in conventional media and the cacophony of social media resulted in a loss of standards and professionalism, and brought with them a weakening of the public sphere in many countries, and a loss of trust in institutions. Here, regulation is needed that established minimum public transparency and accountability requirements while aiming at improving the quality of the public sphere. CSOs do function as innovators and vanguards yet they face fundamental problems in terms of replicability, diffusion and scaling up (Anheier et al. 2017). There is no systematic screening and vetting of social innovations, and many fail due to inadequate dissemination and information-sharing. As a result, the potentials of too many social innovations go unnoticed, and ‘wheels are being reinvented,’ so to speak. And even those innovations that do find resonance, do so in the absence of a social investment market. Unlike in the case of technological innovations, there is no pool of investors eagerly standing by to help grow social innovations. Impact bonds and related measures are one step in the right direction (Albertson et al. 2018), but more is needed. The main proposal for finding proper policy responses to these issues is that a more differentiated approach to CSOs is needed, and one that goes beyond the one-size-fits-all of current regulatory frameworks. These are largely based on some notion of charity and public utility, and have a regulatory history reaching back to the late 19th and early 20th century, and in some cases even to mediaeval times. They are rooted in outdated notions of how organisation should to serve the public good, and they fail to consider the diversity of modern organizational forms and ways of collective action. Instead, frameworks should be based on the functional differentiation embodied in the policy approaches above, and take account the prevailing organizational forms, especially in view of their comparative advantages and disadvantages. The first differentiation is for CSOs as service providers. A future regulatory framework has to differentiate the entirely charitable, donative CSOs from CSOs that are part of public-private partnerships, from those participating in quasi market arrangements with competitive bidding for fee-for-serve contracts, and, more generally, from CSOs that operate in competitive fields alongside public agencies and businesses. Most CSOs here are corporations given the significant capital requirements rather than membership-based associations. The main regulatory issue is to establish workable ways of oversight in relation to the for-profit – non-profit borderline, and hence to facilitate access to capital markets. New hybrid legal forms are currently being devised to solve some of the underlying issues. The L3C and the benefit corporation in the US or the public benefit corporation in the UK are steps to fix various shortcomings of both the nonprofit and for-profit forms, but arguably attempt to seek leverage at the wrong end: Most of the regulatory challenges that CSOs face are not rooted in their basic legal forms, but in the nature of tax and fiscal regulations superimposed on those. A second differentiation addresses the function of CSOs as an expression of civic engagement, and typically in the form of an association. Here the main regulatory issue is between primarily self or member-serving activities, on the one hand, and ensuring accountability on the other. Democratic legitimacy frequently gets called into question here when representation issues arise. Many of the democratic legitimacy issues being raised about both local and international CSOs have to do with membership and community representation (Brechenmacher and Carothers 2018). In addition, even in the West, there is a troublesome decline in active association membership, as members frequently chose not to participate in the ‘schools of democracy’ aspects of democratic decision-making, including internal elections and attendance at membership meetings. A third differentiation is about private support for the public good, which foregrounds the roles and potential contributions of philanthropic foundations. Foundations endowed with income-generating assets are generally considered to be among the most unconstrained institutions in society, as they are neither beholden to market expectations nor to the electoral booth. This dual independence from economic and political considerations allows them to address complex, controversial, even unpopular issues, and seek solutions where government and business are likely to falter, let alone risk taking them on in the first instance. Foundations can take the longer view and operate without regards to shorter term expectations of market returns or political support. Accordingly, foundations are primed to pursue a set of special societal roles, including pursuing change and innovation, redistribute wealth, build out societal infrastructure and complement, or substitute for, government action (Anheier and Hammack 2010; Anheier and Leat 2018). Unfortunately, governments often fail to understand appropriate foundation roles and primarily look to them as mere ‘cash machines’ to fill emerging gaps in public budgets (Abramson et al. 2014; Toepler 2017). Prewitt (2006) has argued that foundations, in liberal societies allow attaching private wealth to the pursuit of public goods with only limited interference in economic choice and political freedoms. Striking a balance between the two is a key regulatory challenge. The fourth differentiation is about social investments, and applies to corporations, associations and foundations alike. Many innovations in civil society can harbour significant profitability for investors and owners as well as significant potential for the wider public – but in what direction the potential of a particular innovation will realize in terms of replicability and scalability – and for whom – is often uncertain. Therefore, a platform or clearinghouse to assess any such potentials is needed, and a regulatory frame that would help social innovations to be tested. The organizational form and legal status of a platform or agency can be varied but should aim at establishing a social investment market next to the investment and venture capital markets for businesses. CSOs have long outgrown their regulatory frameworks, and it befalls to policymakers to provide adequate environments. We have proposed a fundamental rethinking of these traditional and largely outdated regulatory environments in favour of new approaches that take account of the functional differences among CSOs and the various organizational forms underlying them. Abramson, A. (in preparation). Hybrid Organizations. In H. K. Anheier & S. Toepler (Eds. ), Routledge Companion to Nonprofit Management. London: Routledge. Albertson, K., Fox, C., O’Leary, C., & Painter, G. (2018). Payment by results and social impact bonds: Outcome-based payment systems in the UK and US. Bristol; Chicago, IL: Policy Press. Anheier, H. K. (2014). Nonprofit Organizations: Theory, Management, Policy (2 Revised edition). Abingdon, Oxon: Taylor & Francis Ltd.
Anheier, H. K., & Hammack, D. C. (Eds.). (2010). American Foundations: Roles and Contributions. Washington, D.C.: Brookings Institution Press. Anheier, H. K., Krlev, G., Mildenberger, G., & Behrendt, C. (2017). Directions for policy makers – How to support and engage in social innovation (ITSSOIN Policy Brief). Brussels: European Commission, DG Research. Brandsen, T. (in preparation). Co-production. In H. K. Anheier & S. Toepler (Eds. ), Routledge Companion to Nonprofit Management. London: Routledge. Brewer, C. V. (2016). The Ongoing Evolution in Social Enterprise Legal Forms. In D. R. Young, E. A. M. Searing, & C. V. Brewer (Eds. ), The social enterprise zoo: A guide for perplexed scholars, entrepreneurs, philanthropists, leaders, investors, and policymakers (pp. 33–64). Cheltenham; Northampton, MA: Edward Elgar Publishing. Crutchfield, L. R., & Grant, H. M. (2007). Forces for Good: The Six Practices of High-Impact Nonprofits. San Francisco, CA: Jossey-Bass. Ebrahim, A., & Weisband, E. (Eds.). (2007). Global Accountabilities: Participation, Pluralism, and Public Ethics (1 edition). Cambridge; New York, NY: Cambridge University Press. Eikenberry, A. M., & Kluver, J. D. (2004). The Marketization of the Nonprofit Sector: Civil Society at Risk? Public Administration Review, 64(2), 132–140. Gugerty, M. K., & Prakash, A. (Eds.). (2010). Voluntary Regulation of NGOs and Nonprofits: An Accountability Club Framework (1 edition). Cambridge ; New York, NY: Cambridge University Press. Kramer, R. M. (1981). Voluntary Agencies in the Welfare State (First Printing edition). Berkeley, CA: University of California Press. Phillips, S., & Smith, S. R. (Eds.). (2011). Governance and Regulation in the Third Sector: International Perspectives (1 edition). New York, NY: Routledge. Prewitt, K. (2006). American foundations: what justifies their unique privileges and powers. In K. Prewitt, M. Dogan, S. Heydemann, & S. Toepler (Eds. ), Legitimacy of Philanthropic Foundations: United States and European Perspectives (pp. 27–48). New York, NY: Russell Sage Foundation. Putnam, R. D. (2001). Bowling Alone: The Collapse and Revival of American Community. New York, NY: Simon & Schuster. Sabeti, H. (2011). The for-benefit enterprise. Harvard Business Review, 89, 98–104. Toepler, S. (2004). Conceptualizing nonprofit commercialism: A case study. Public Administration and Management: An Interactive Journal, 9(4), 240–253. Weisbrod, B. (Ed.). (1998). To Profit or Not to Profit: The Commercial Transformation of the Nonprofit Sector. Cambridge; New York, NY: Cambridge University Press. Young, D. R., Searing, E. A. M., & Brewer, C. V. (2016). The Social Enterprise Zoo: A Guide for Perplexed Scholars, Entrepreneurs, Philanthropists, Leaders, Investors and Policymakers. Cheltenham; Northampton, MA: Edward Elgar Publishing. Suggest more existing initatives and analysis! Your suggestions will be send to the authors. represent the views or recommendations of their related institutions. develop the regions found alongside these railways and roads. New depot stations must broaden opportunities for SMEs to start their business and by providing new residential districts, to also increase the revenue collected from property and corporate taxes. Previous findings (Yoshino and Abidhadjaev (2016)) show that secondary school education and university education together with infrastructure development increases the spillover effects of infrastructure investments. Secondary school education provides workers with basic skills and a university education further enhances high-quality workers. Digital financial literacy (DFL) is likely to become an increasingly important aspect of education for the Digital Age. The development of the ‘gig’ economy means that individuals will ecome more responsible for their own financial planning, including for retirement. Consumers will need to have increasing financial sophistication to make effective use of financial technology fintech) products and avoid fraud and costly mistakes. G20 countries need to agree on a standardized definition of digital financial literacy, design tools to assess it, and develop strategies and programs to promote digital financial education, including special programs for vulnerable groups.